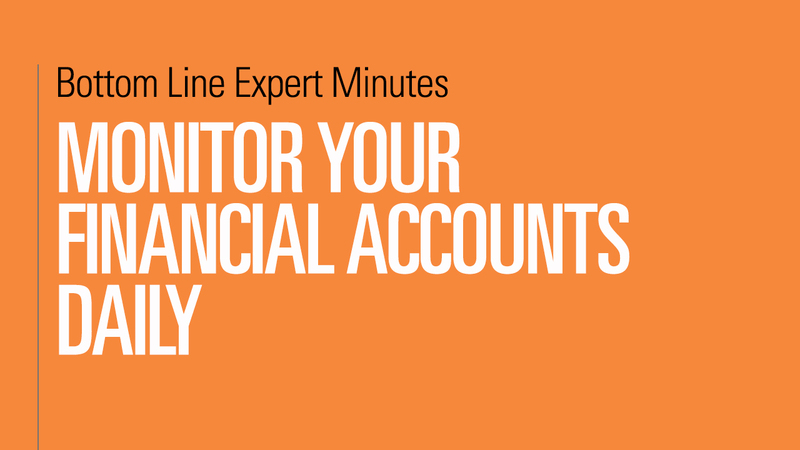 In this video, Adam Levin, chairman and founder of CyberScout and author of Swiped, emphasizes the need to monitor your financial accounts—bank accounts, credit cards—on a daily basis to ensure that they have not fallen into the hands of hackers and identity thieves. The easiest way to do this, Levin explains, is to set up alerts so that you are notified every time one of these accounts is used. These alerts are free, easy to set up and require only a few minutes to monitor. In this way, you and your financial institution can stay on top of fraud, saving both you and the institution money and hassles.